Fort Worth, Texas-based Colonial National Mortgage, a division of Colonial Savings F.A. and a national, multi-service financial institution, has launched Roostify, a dynamic mortgage transaction technology, to provide its applicants with a simple and intuitive platform for obtaining a home loan. The mortgage platform gives consumers the ability to apply and provide loan documents online and makes it simple for all parties to collaborate in real time to speed up the closing process. Roostify’s online, mobile-friendly application and loan collaboration tools are now available to all Colonial retail mortgage branches and its Home Loan Center national call center. 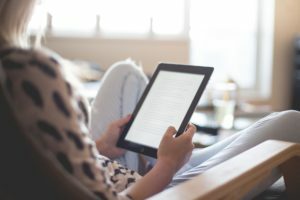 Consumers will be able to complete a mortgage application in as little as 10 minutes from anywhere with an internet connection, including mobile devices. Applicants will then be able to provide all documentation through a secure online portal, get real-time updates on the status of their application, and easily loop in third parties such as their real estate agent. Loan officers are able to reclaim time that would have previously been spent processing paper documents or on individual phone calls with various loan participants, allowing them to speed up loan closing.